Leave a comment and you’ll be entered in the contest. Contest ends OCTOBER 18th!! ← FRIDAY FRIEND & FOUR FREE BOOKS! I did. Sorry, you didn’t win. Their listed under the winners post. Best wishes on the new book. Great blurb. Thank you for holding the give away. Sounds like an intriguing story. I look forward to reading it! I can’t wait to read it, Lillian! Looks like a great book.. Your a new Author so a new book for me. Thanks!! Great. Glad you found me. Sounds intriguing! Looking forward to reading your latest. Looking forward to reading this. Intriguing! My to buy list keeps growing, especially when I see blurbs that draw me in. Want to tell the hubby to stop and get my an amazon card now but just not in the budget this week. Who knows, maybe you’ll win one!! Good luck. Wow! A book about SLPs! Looking forward to reading it! The first book is already out–DEADLY COMMUNICATIONS! The second in the series should be out early next year–DEADLY INTENT! Looking forward to reading this book! Doing good works is what we can do, salvation is what God can do for us. Can’t wait to read this book, sounds so intriguing! 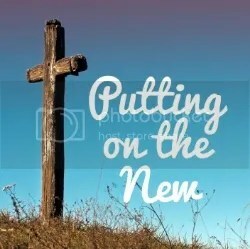 Good works only get us so far, salvation takes us where we need to go. This looks like a very good book — and, of course, I’d love to win Amazon! Amazon rocks! I would love to win the Amazon gift certificate. Of course, I really want Redemption. Sounds so good. Thanks for being my guest. Hi Lilian, congratulations on the release of your book. It sounds like a good read. I would really like to read it. Since Dawna already bought it for her Kindle, I think I should get it for my Kindle. PICK ME…PLEASE!!!!! There’s no special treatment, GARY! I put all the names in a bowl and pick! Redemption sounds like an excellent read. Need to add to my TBR list. This looks good and more grease to your elbow! Lillian, your book sounds wonderful and you are being very generous in this giveaway. Thank you for this giveaway. Sounds like a wonderful read. I would be thrilled to be the lucky winner. Thanks for entering, Celeste. Who knows? You might win! Woo hoo! Sounds like another great book by Lillian. Congrats! Oh My! How have I missed your books… these are right up my reading alley! I can’t wait to find them and start reading! You’ve found me now, Kelly, so I hope you enjoy my books. BTW if you follow this blog, you get one of my Christian suspense books for free. Very generous thank you. I’m looking forward to a great read. Sounds like a great read for our church library. Thanks, Brenda and Ann. It makes me so happy when I hear that people enjoy my stories. It makes all the time and effort worth it! I’m reading it now as well. Love all your books. 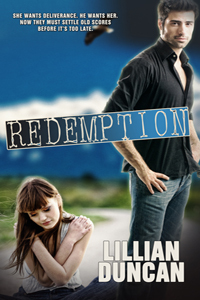 I would love to read Redemption it looks like a great story thank you for giveaway! I am reading it now and like your other books it’s another good one.